Each of our themes has been crafted with extreme passion and dedication. 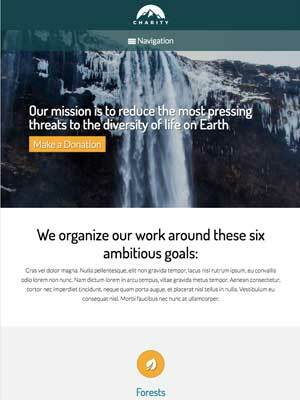 This Charity WordPress Theme is no exception. For the ngo industry this theme should exude an air of professionallism. 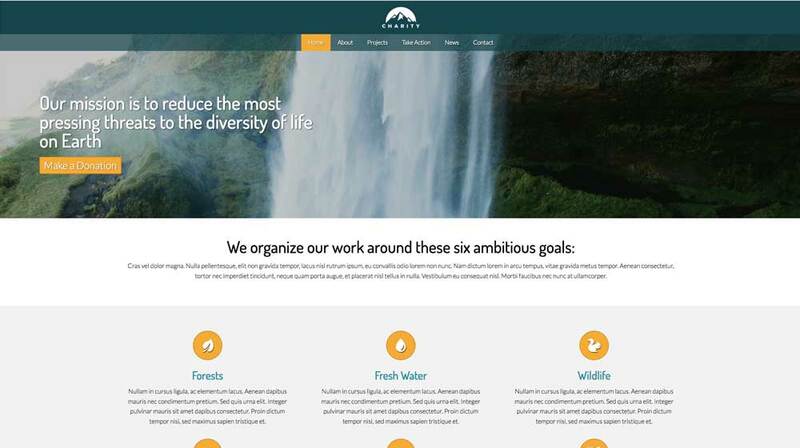 While at the same time boasting a design and layout which acts as the perfect base to create your own ngo website. 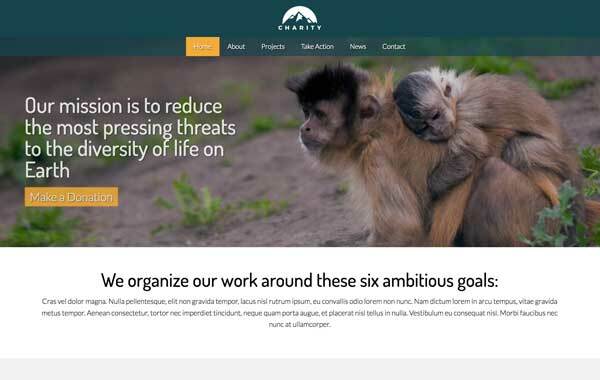 Ideal for board members who want to create a professional online presence, the Charity WordPress Theme is designed to make it easy and affordable to build a beautiful website without any coding at all. 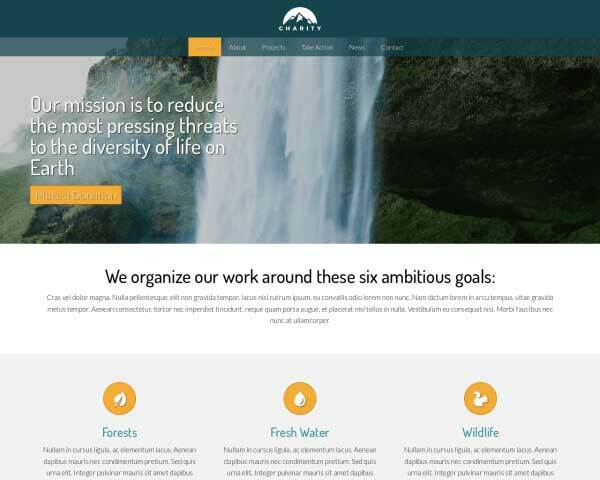 Promote your ngo services on preconfigured pages filled with placeholder content and ready for your own text and images. That's all it takes to get your complete website online! 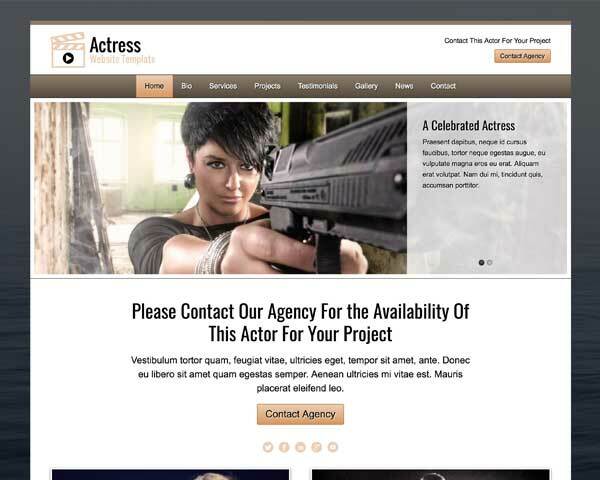 Have some fun customizing the look and feel of this website template using our visual front-end editor. 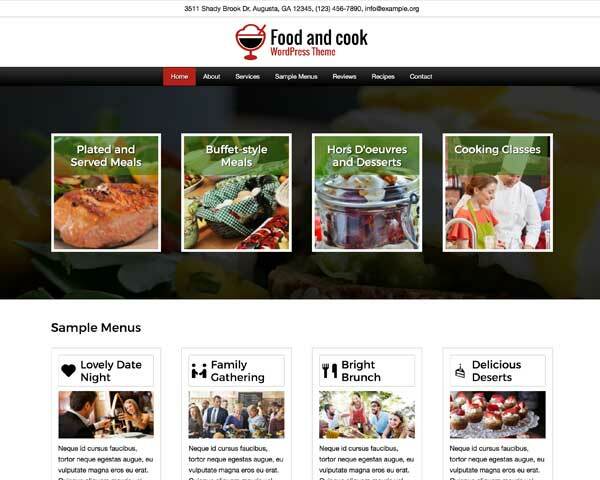 Take a look at the demo site and imagine the possibilities. 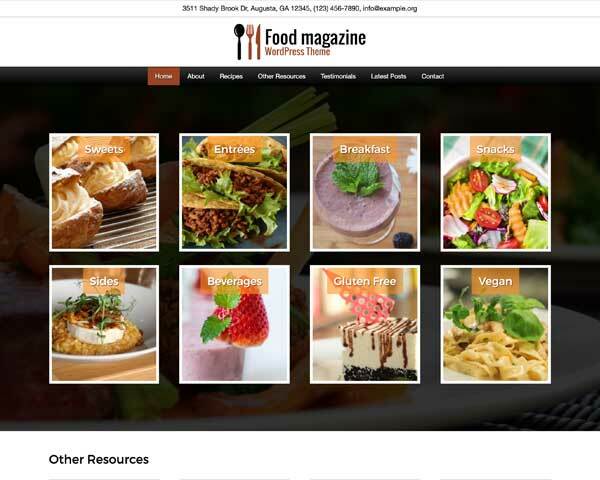 With the Charity WordPress Theme, a professional, customized website is within your reach. The Charity WordPress Theme was made for professional board members wanting to take their business to the next level by going online. 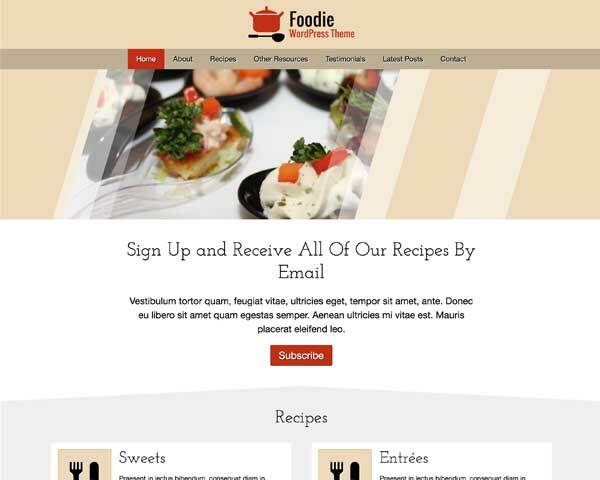 The Charity WordPress Theme has a dedicated page for the various events your business might host for potential clients. The homepage of the Charity WordPress Theme displays a neat overview of your services, offering visitors quick navigation to pages with more information. No extra plugins are required to integrate your website with popular social media platforms. 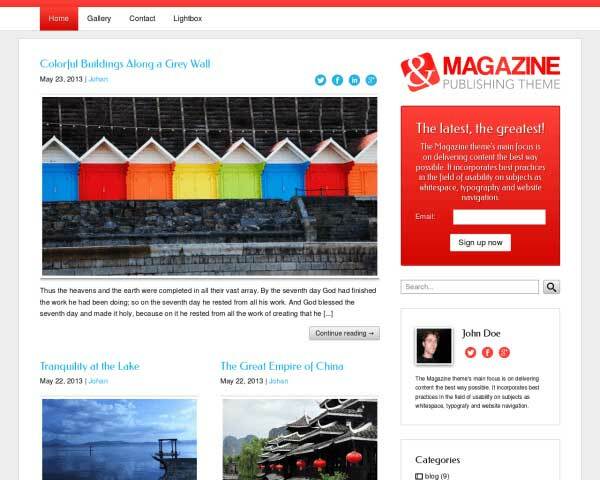 The Charity WordPress Theme allows you to display icons, a Twitter feed, Facebook like wall or a Flickr gallery. 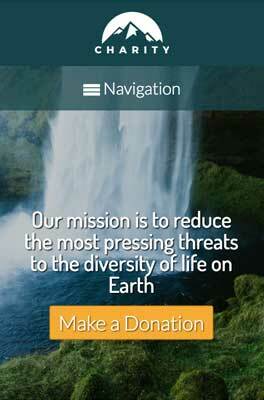 Invite interested volunteers to apply online anytime with the Charity WordPress Theme's built-in application form. The fields can easily be customized to suit your needs. Accept donations, directly from your website with the Charity WordPress Theme which delivers so many benefits! 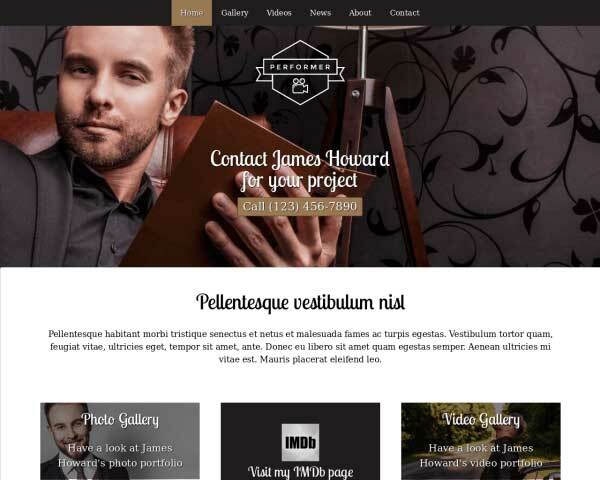 Your online resume will impress visitors even on small screens when you build your website with this responsive Charity WordPress Theme. No plugins, coding or additional effort required — this mobile-optimized online resume template will automatically adjust the layout of your content to display neatly on all types of smartphones and tablets. You can be sure that mobile visitors will enjoy the same sleek, professional look and user-friendly functionality of the desktop version.